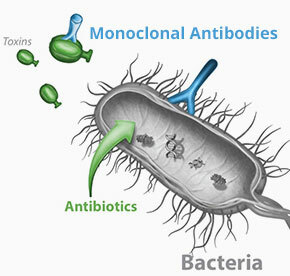 Monoclonal antibodies (mAbs) are a vital component of the human immune system, and have been evolving for millions of years to optimally detect and neutralize invading pathogens. The human immune system can be remarkably effective in fighting even the deadliest of infections, as evidenced by the existence of subsets of disease-free patients in virtually all infectious diseases. Aridis Pharmaceuticals is mining the immune responses of these infection survivors for their rare, protective mAbs. Aridis’ proprietary mAb discovery platform, MabIgX®, recovers and immortalizes the antibody-producing cells (called ‘B-cells’) from these individuals, turning them into therapeutic antibody producing factories. This technology allows for rapid discovery of rare B-cells and manufacturing of mAbs approximately one year faster than any other antibody discovery technologies currently available. The MabIgX technology can be applied to discover potent therapeutic antibodies for any diseases, and has been leveraged to generate an unrivaled product portfolio of novel anti-infective mAbs. These human-derived, natural anti-infectives could potentially become a vital weapon in combating the growing antibiotic resistance crisis.